My tot goes nuts over anything crispy. When I make him toast, he loves the crust. When he eats pizza, he loves the crust. Roasted chicken, he likes the crispy skin. So this snack is definitely right up his alley. Super quick to make and so tasty. We almost always have wonton wrapper at home as I like to make homemade wonton and pot stickers. And of course a block of Parmesan is a staple in a half Italian household. I actually used Asiago one time and it was so good. I usually end up eating more than I intend to every time I make these. I make a batch and snack on a few, place them in a container but it's basically pointless to even put them in the container, as my tot's little hands would go for it, Steve would walk by it for a "taste test" and of course I join him. By that time it's usually all gone. 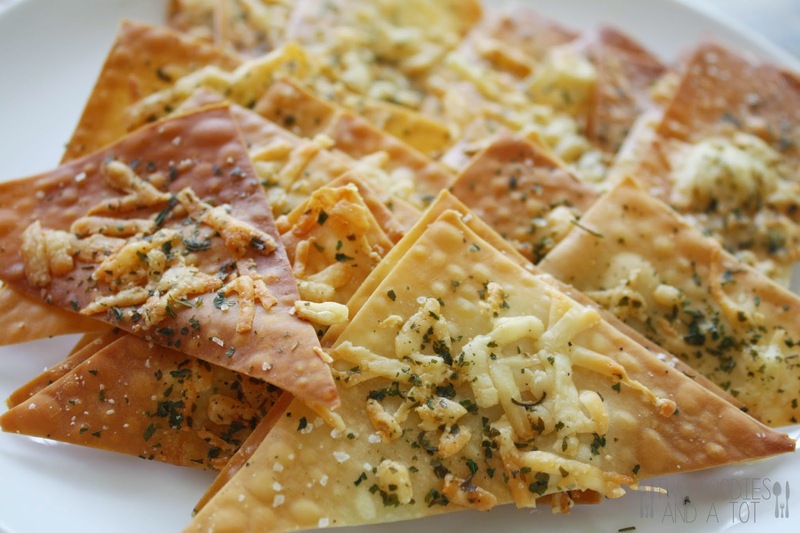 When you want a quick snack that is not fried, yet so tasty you can even serve as part of your appetizers for your guests, this will be a great fit. 2. 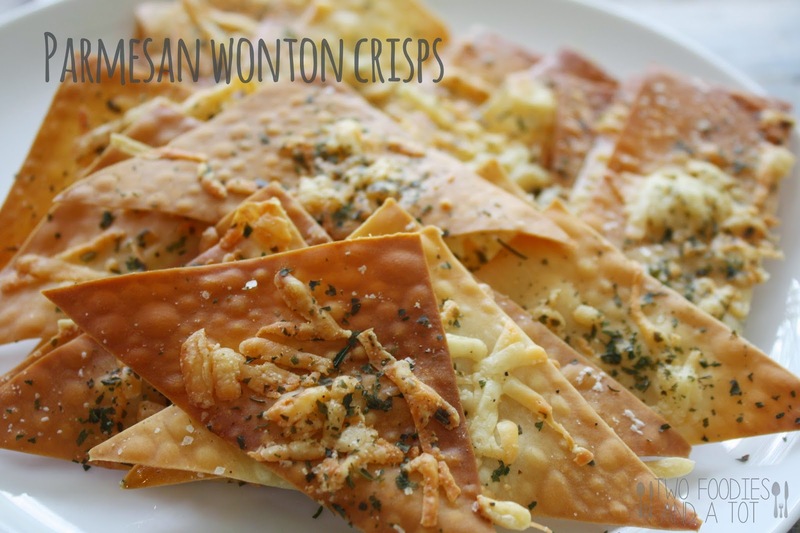 Cut the wonton wrappers(triangles or rectangles) and spread on a baking sheet in a single layer. 4. Bake for 8-10 minutes. Let it cool for a few minutes and enjoy.